When a couple decides to divorce, and one or both of them are servicemembers, their military pensions are considered marital assets. In states such as Florida that use a system of equitable distribution, marital assets are divided between the spouses, but contrary to popular belief, this is not always done strictly equally. Rather, judges must decide upon the most equitable course of action for division, so both spouses are able to support themselves in a manner similar to what they are accustomed to. The Uniformed Services Former Spouses’ Protection Act (USFSPA) is the relevant law when discussing military pensions in divorce property settlements, but it does not grant any amount of money to a servicemember’s former spouse. Rather, it grants state courts the power to invoke family law, so that they may divide the pension (and other marital assets) accordingly. Some misconceptions may arise around the application of the ten year rule (that is, if you were married to a servicemember for at least ten years, and their period of active duty overlapped with the marriage for ten years), but in truth, equity is unchanged whether the rule applies or not – if the ten year rule applies, your portion of income will come from the Defense Finance & Accounting Service (DFAS). If it does not, there is still a reasonable likelihood that a state judge will hold it to be equitable that you receive the same amount of money. One important thing to remember is that your entire pension may not be marital property, but only the amounts that were earned during your marriage. A court may not be able to establish exactly how much that amount is, but will use a complex process to arrive at an estimate close enough to meet standards of equity. The length of the marriage. The more years of marriage, the stronger a bond usually exists between a couple, and more lived experiences they will have in common. The general circumstances of each spouse in an economic sense. If the military member only has their pension as a tangible asset, a judge is less likely to award a higher share of it to their spouse. How much each spouse put into the marriage – in other words, who came in with what assets, and who wound up contributing the most (economically and otherwise). Whether child support factors into the equation, especially if the servicemember is still on active duty. Be advised that even if a service member is not retired after serving long enough to get a pension, retirement pay is still an asset to be valued and potentially divided. What most often occurs in the case of a servicemember still on active duty is that the court will set a date by which the servicemember must apply for retirement benefits, after which the ex-spouse may count on a certain percentage of that pay. The area of military divorce law is quite complex, especially when dealing with the rules surrounding pensions and other retirement money. A knowledgeable Fort Lauderdale divorce attorney is a must, especially if children are involved. 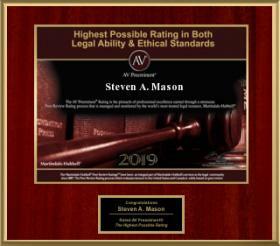 The law firm of Steven A. Mason, P.A. 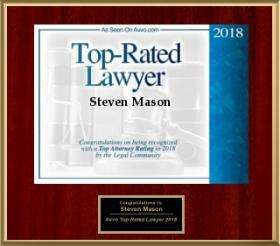 specializes in these types of cases, and has achieved good results for clients on both sides of the divorce table. 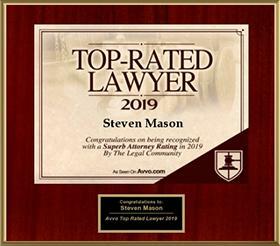 If you need help in your military divorce, contact the Fort Lauderdale and Hollywood Law Offices of Steven A. Mason, P.A. for legal advice at 954-963-5900 or leave a message online.